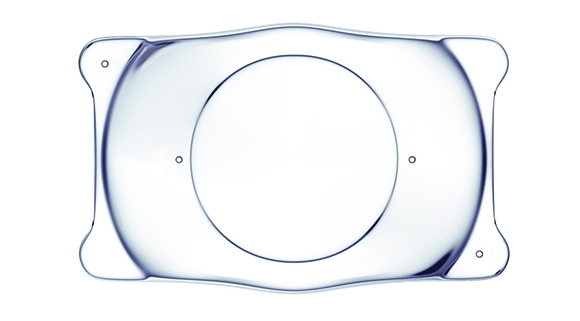 Collamer, exclusive to STAAR Surgical and Visian ICL Products, is a biocompatible material used to create implantable lenses. The name comes from a combination of “collagen” and “polymer". The material is biocompatible which means the lens is made to naturally be in harmony with your eye. ICLs are easy to implant in the eye because of the soft and flexible structure. And they feel natural in the eye. This unique Collamer material provides UV protection while visible light passes through unaltered.